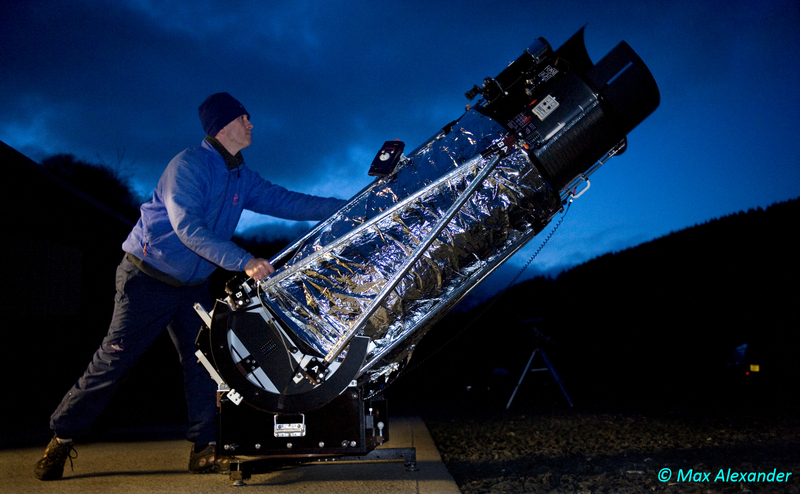 A Planetary Imager and Astrophotographer from the UK. 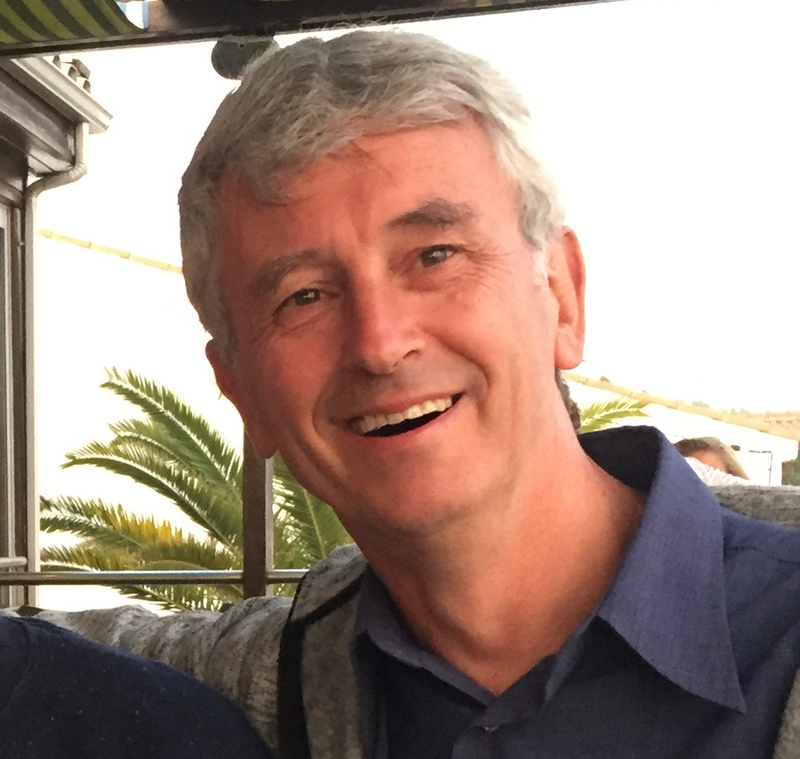 Martin has loved astronomy since he was a child, and has 50 years of rich experience in astronomical observation. He has amazing capabilities in planetary photography, especially in the imaging of Venus, almost nobody can reach his achievement. In this year’s Greenwich Astronomy Photographer of the Year, his amazing image ‘The Grace of Venus’ won the Comets, Planets and Asteroids category whilst his ‘Parade of the Planets’ took second place. 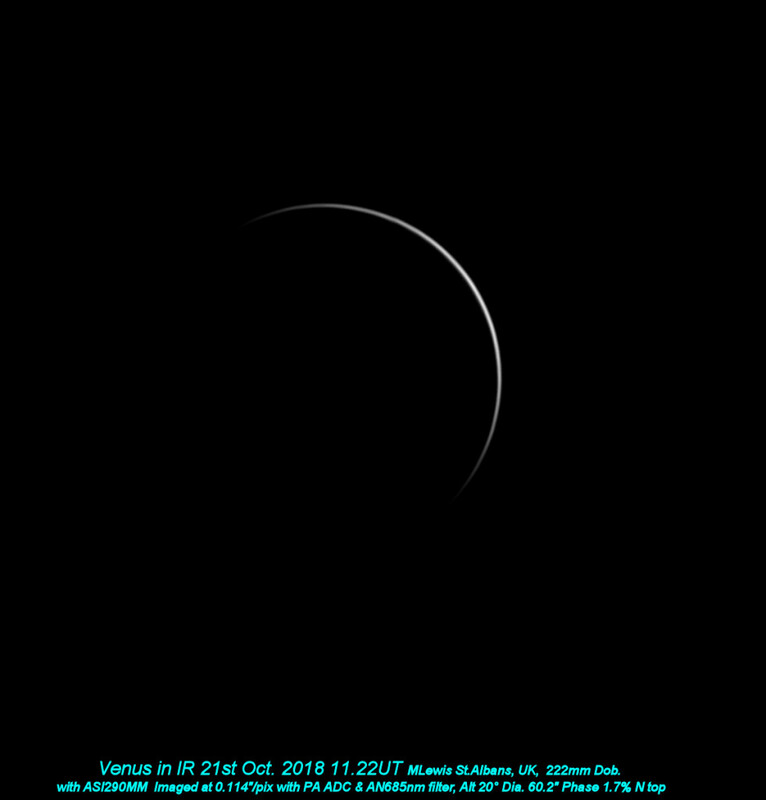 Insight Investment Astronomy Photographer of the Year 2018 award ceremony on 23rd October 2018 at the National Maritime Museum, Royal Museums Greenwich. Martin Lewis receives his award from John Culshaw at IIAPY 2018. In our conversation with Martin, we know that Martin was more than just a master of planetary photography, and he had a lot of interest in astronomy. For example, he likes to shooting satellites and the International Space Station, visual observation of deep-sky objects etc. In addition, Martin has strong ability of DIY. His telescopes were made by himself, including the 444mm and 222mm Newtonian telescopes he uses as well as his equatorial tracking platform. DIY astronomical accessories are just piece of cake for him. 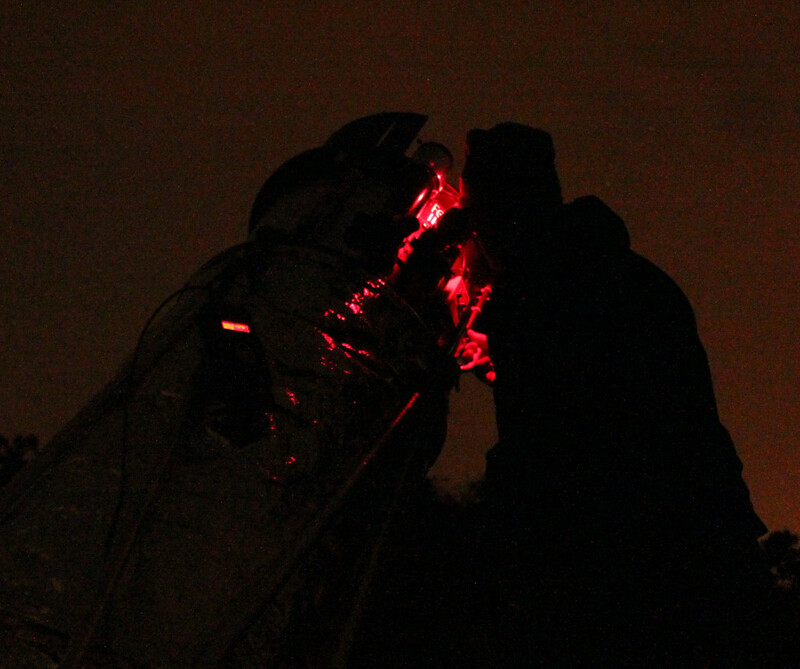 It was under such a DIY device that Martin showed his extraordinary astrophotography skills to astronomy lovers. 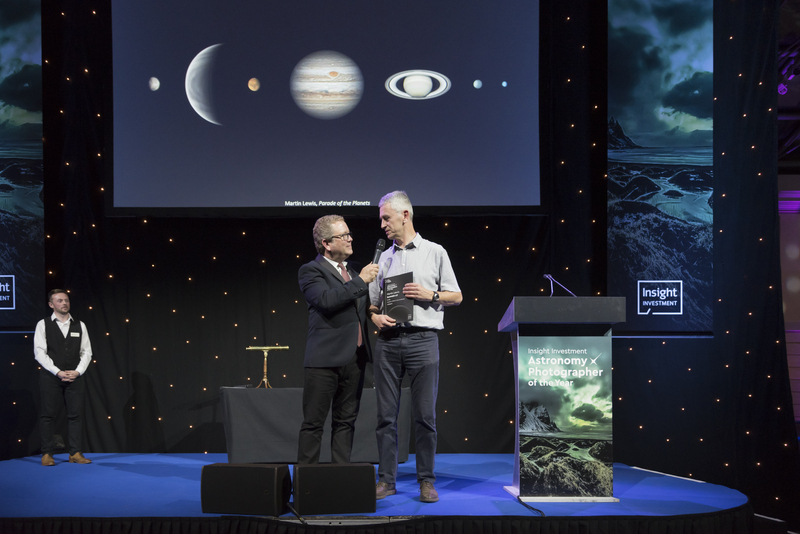 Let’s congratulate Martin on winning the Planets category of the Greenwich Astronomy Photographer of the Year and we made an exclusive interview. In the interview, we asked him some questions that everyone cares about. Q1: Hi，Martin. Congratulations! Your work won the Greenwich astronomical photography competition. Could you introduce yourself for everyone? 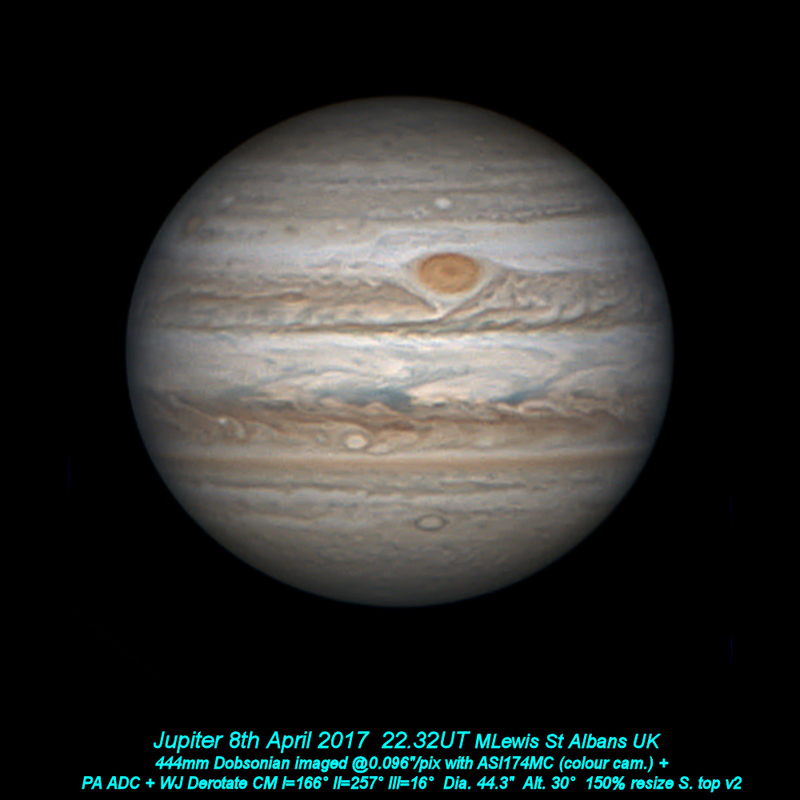 Hi I’m Martin Lewis, a planetary imager living north of London in the UK. As well as planetary imaging I love building telescopes and other astronomical equipment. I also enjoy sketching and observing deep sky objects. Q2: We are very curious that what is Greenwich astrophotography competition? And what will I get if win in the competition? The Insight Investment Astronomy Photographer of the Year is the largest astrophotography competition in the world with over 4000 entries this year from Europe, US, China and many other countries. The competition is judged by a panel of astronomy experts and artists and there are 10 categories ranging from Our Sun to People and Space. I was fortunate enough to win the first and second place in the Comets, Planets and Asteroids category. The overall winner gets £10,000! Q3: When did you start like astronomy? And when did you have your first telescope? What’s the feeling in first observing? I have been observing for nearly 50 years now. I got my first telescope when I was about 9 years old and I still have it. It was a small wobbly refractor with a very cheap 50mm lens but with that telescope I saw a tiny, and I thought perfect, Saturn, with the rings wide open. I was hooked on astronomy from that point onwards! Q4: We know astrophotography need a lot of practice, it’s really hard to handle it, maybe need years to improve skills. When did you start to do astrophotography? And what equipments did you use? Later that year I built an equatorial tracking platform to improve my imaging of Mars, which was at opposition in Winter 2005/2006. For many years I used my home-built 222mm Dob. 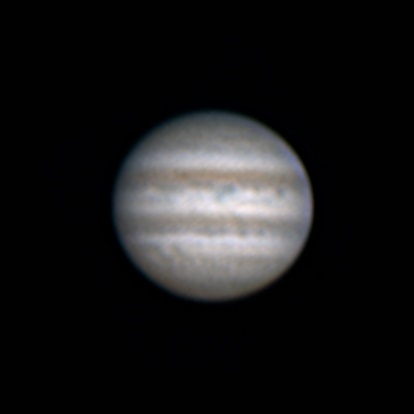 for planetary imaging- learning many techniques and improving my methods. 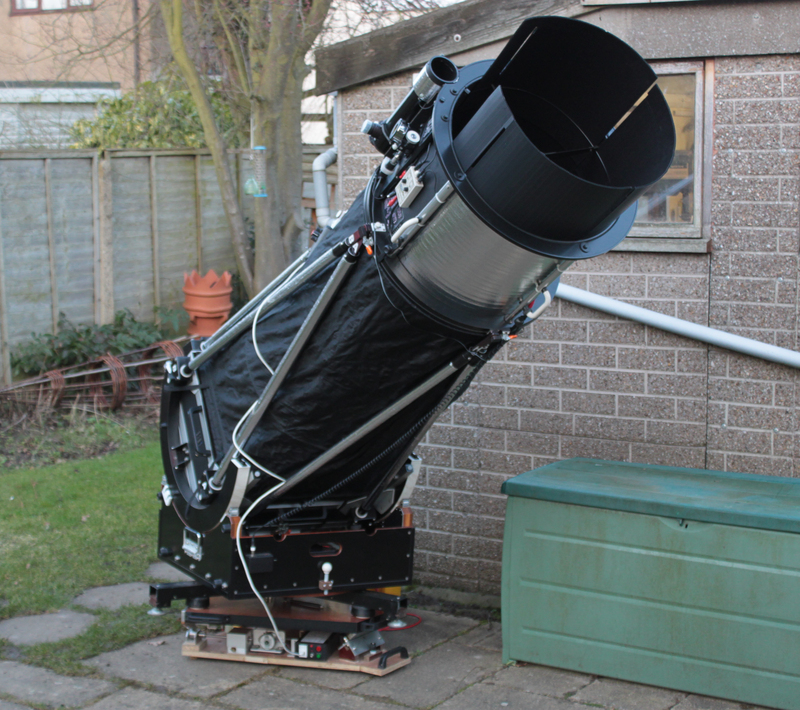 In 2013 I decided to try planetary imaging with my much larger home-built 444mm Dobsonian telescope which I named ‘Fossil Light’. Up until then I had only used as this as visual instrument. I made an electric focuser for it and it worked out really well on the same equatorial platform that I originally built for the 222mm telescope. The extra aperture this bigger scope has given me has allowed me to push on even further with my planetary imaging as the image below shows from 2017. 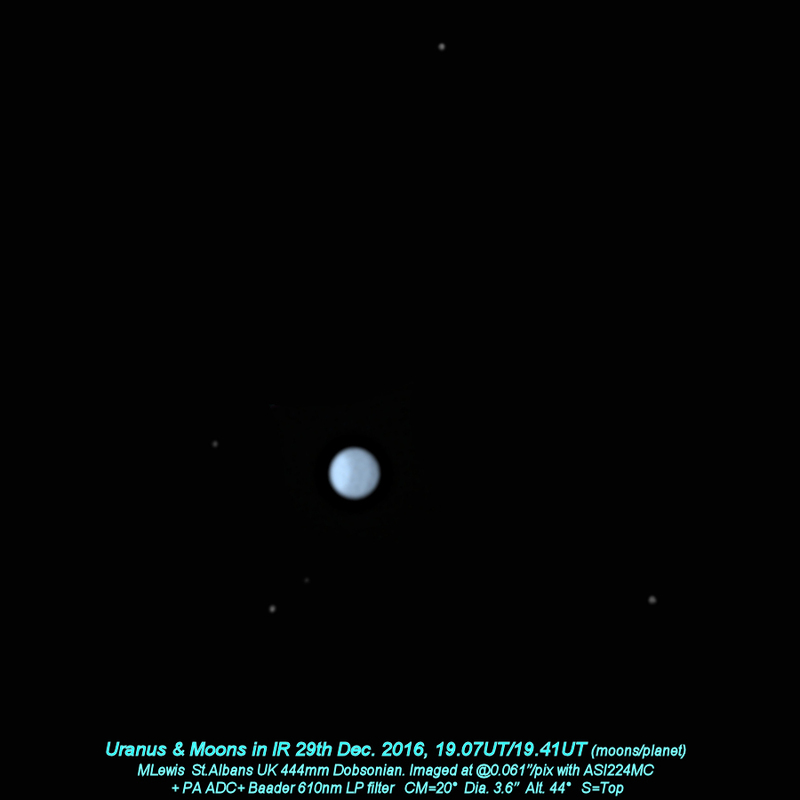 The bigger aperture has allowed me to try imaging the Ice Giants, Uranus and Neptune which are difficult in smaller telescopes because of their low surface brightness. Q5: You are very familiar with Newtonian telescope, do you have any ideas about how to adjust optics axis and what kind of calibrator is necessary? I have aligned all my optics mechanically to be centralised as part of the design. I store my collapsed telescope in my garage then build it up every night which takes 15-20mins. Because of this the collimation changes each time by a small amount and so I collimate my Newtonian with a sighting tube and Cheshire eyepiece which takes no more than 2mins making slight adjustments to secondary then primary. I much prefer this method to laser collimators. SCTs are much harder to collimate and simple tools don’t exist so with those designs you have to collimate on stars using the star test. The simplicity of collimating Newtonians is a significant advantage of this type of telescope. 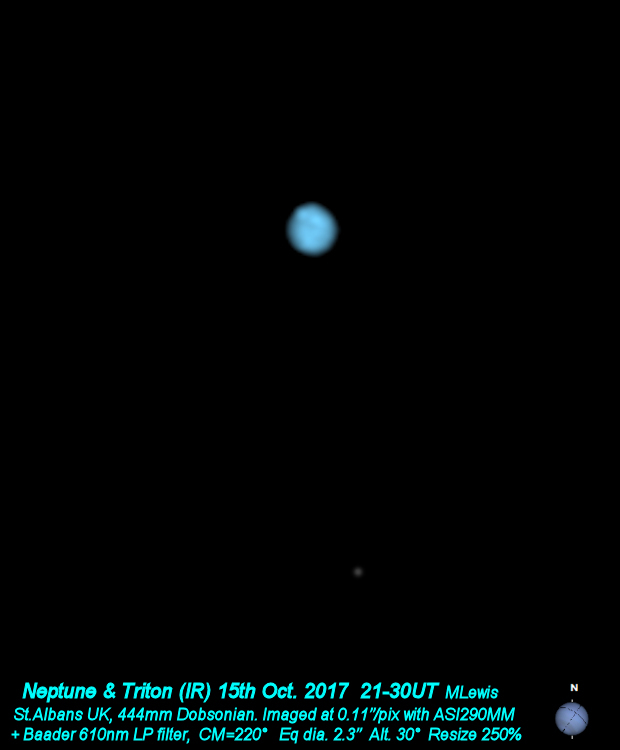 Q6: Dobson telescope has field rotation problem in shooting, so is that a big problem for planetary imaging? Autostakkert! does have a field rotation feature which might be useful for longer recordings but I’ve not used it. For me field rotation is not a problem as the equatorial platform eliminates the issue and keeps things simple. There are a few planetary imagers with big Dobsonian Newtonians on equatorial platforms such as the author of Autostakkert!, Emil Kraaikamp. I hope more people will try it as the method allows you to image with big apertures without spending a fortune. One key issue with this arrangement, however, is that the platform motor must be low vibration. I use a vinyl record turntable synchronous motor which is driven at 100VAC instead of 240VAC and this is mounted on a vibration absorbing plate. Q7: What are the advantages of Newtonian in planetary imaging? A lot of people use a SCT. I mentioned earlier about collimation but there are several other advantages with using a Newtonian for planetary imaging. A Newtonian generally has a smaller secondary size compared to an SCT helping improve image quality. Newtonians are also completely colour corrected whereas SCTs often have spherical aberration issues in the blue- being generally only fully corrected in the red. I use them because they are low cost- especially if you make them yourself. Another advantage of a Newtonian over an SCT is that there are no UV absorbing AR coatings in the telescope which helps with Venus imaging in the UV. Q8: When did you know about ZWO? And what’s the first ASI camera you have? Q9: Which ASI camera is your favorite? And why are you choose it? All my ZWO cameras are great but the one I have been using the most recently is the ASI290MM for IR imaging of Neptune, Mercury and Mars. I love the low read noise and fast speed. If you were to take all my cameras away except one I would keep the ASI224MC as it is so versatile, sensitive and low read noise. Also the ASI224MC is a colour camera and I love the ZWO colour cameras. I have been doing all my colour imaging for the last few years using colour cameras rather than from RGB mono imaging. I experimented many times in the past comparing one-shot colour to RGB mono imaging and I almost always got better results in real world situations with the colour camera. Q10: Is planetary imaging is your favorite? What setup do you use currently? Could share a picture of your setup? Planetary imaging is definitely my favourite type of astro imaging. My current set up is my 444mm Dobsonian on my equatorial platform. I use a home-built combined ADC + filter block + APM barlow. The barlow can be 2.7x or 6.25x depending if I use one or two barlow elements and this gives f12 or f28 making it really flexible. I do IR or UV imaging with mono cameras but always use a colour camera for colour images rather than doing RGB imaging with a mono camera. Q11: What is the hardest part in planetary imaging? And how to get rid of it? Wow that’s a tough question! 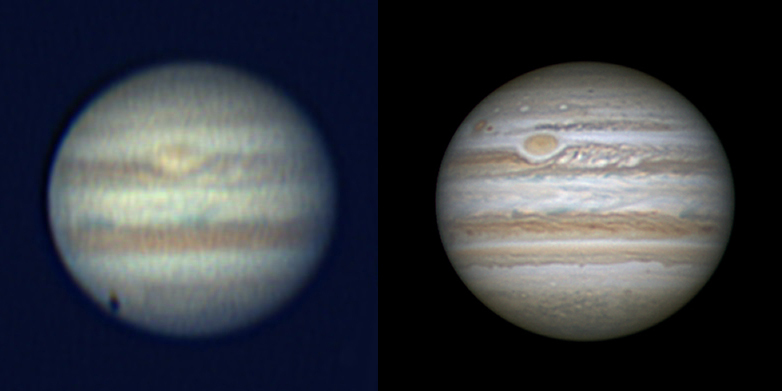 Success in planetary imaging is all about attention to detail at all the stages, start to end. If you have quality optics of a decent aperture that is correctly set up, collimated and cooled, combined with a good camera, then if you are lucky, and the seeing is good, you will get good data in you videos. Those videos then need to be correctly processed to maximise the potential of the data and there is a lot of experience in that. The process can fail at any of the links in the chain so it is important to see the imaging process as a whole and not neglect any one part of that chain. Q12: You are very good at Venus imaging, we know altitude of Venus is not high, and the cloud is can’t seen by eyes. How to get a sharp and detail image of Venus? 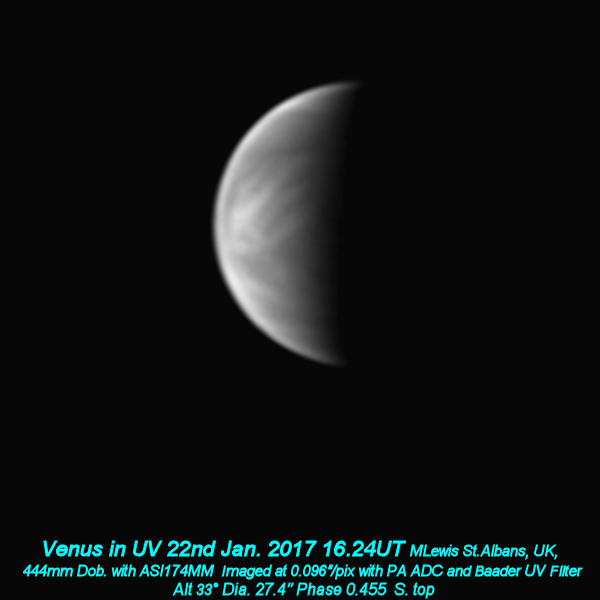 To pull out detail in Venus images you need to image in ultraviolet light and I use a special Venus UV filter to achieve this. The best detail is visible when the air is very transparent but it also needs to be steady which is a rare combination unfortunately. 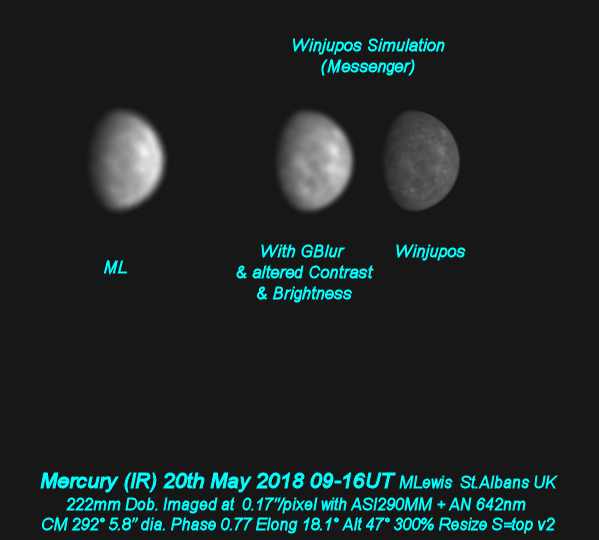 During the last year I been experimenting with imaging Venus and particularly Mercury when the sun is full in the sky as the two planets are much higher altitude then. 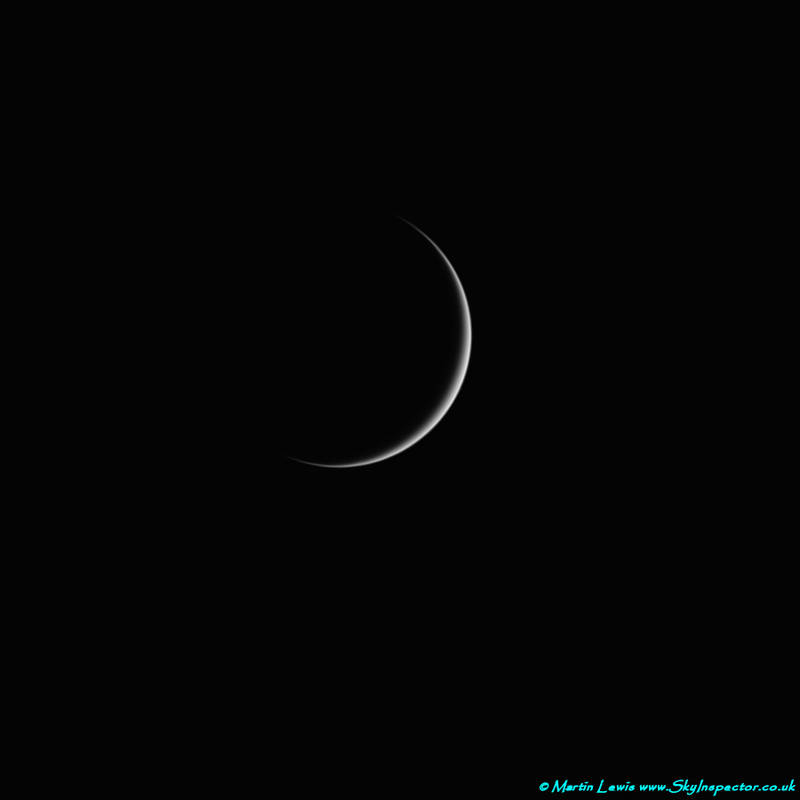 Here is Venus recently at nearly midday with a 1.7% crescent and only 12° from the Sun. Q13: ADC is a very good accessory for planetary imaging. But it’s hard to calibrate it. Could you share us some skills of using ADC? 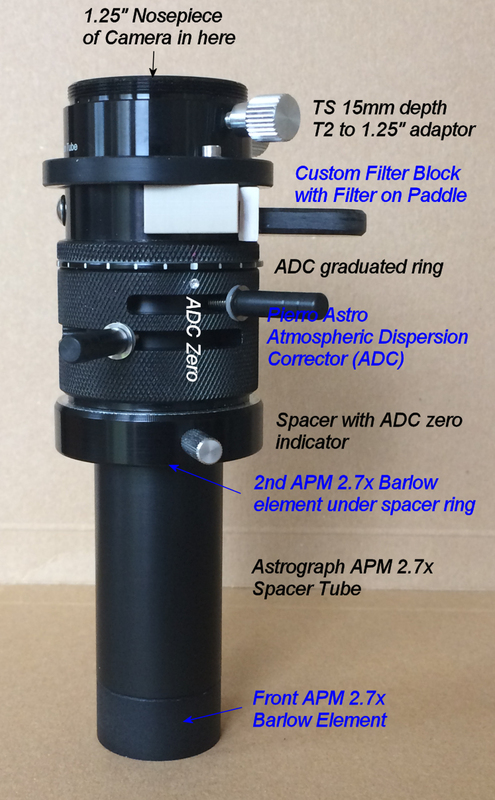 ADCs are wonderful devices to help with planetary imaging especially for Northern Hemisphere imagers who have to suffer with low altitude planets for the next few years. They are particularly important to get the best out of colour cameras which have wider bandwidth in the individual R, G and B colours than mono cameras used with dedicated colour filters. Q14: What other objects do you image apart from planets? 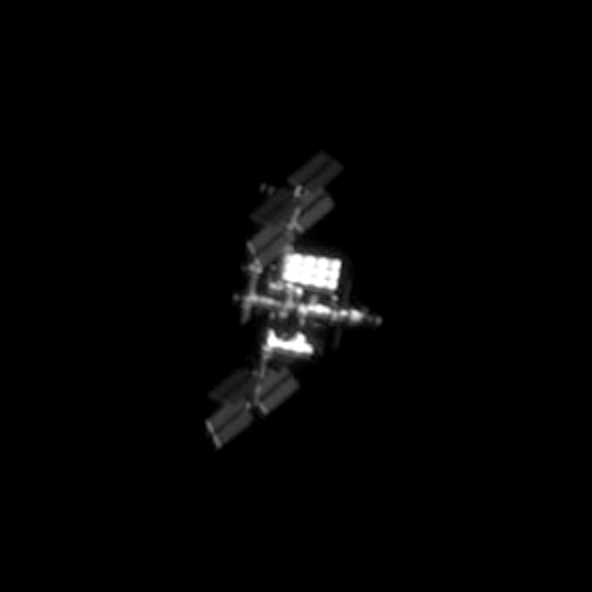 I love photographing the ISS using my hand guided 222mm scope and the large chip and fast speed of the ASI174MM is great for this. I had one amazing night on the island of Tenerife high up on the volcanic plateau in 1999. 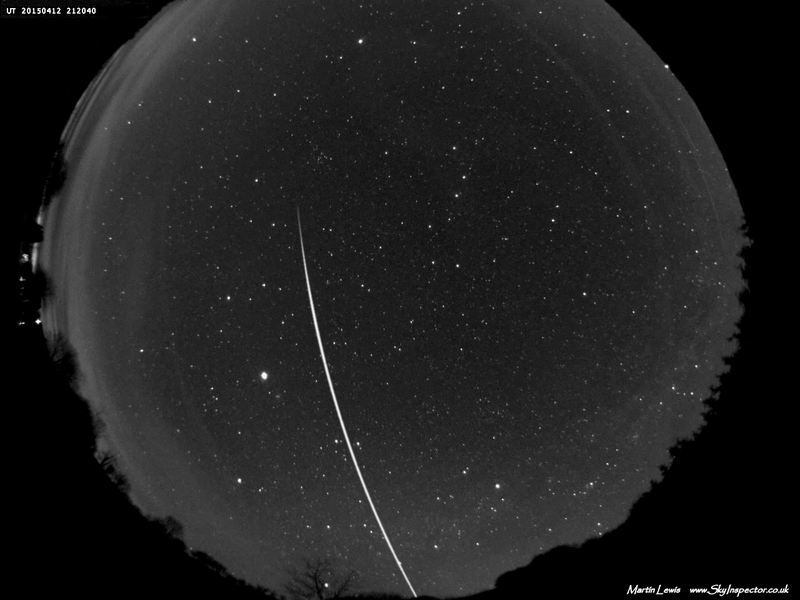 We had just observed nearly 500 meteors of the Leonid meteor storm viewing from a lava bed. On the way back we looked south over the hotel and had the most wonderful view of Orion and the other winter constellations with a gloriously bright Winter Milky Way running past it and looking really remarkable- with a coarse structure to it like granulated sugar. I will never forget that inspiring view. Q16: What’s your impression of ZWO? I love the tremendous range of great value cameras that ZWO sell and they have done really well in quickly bringing the latest chips to the market for astro imagers. They understand what imagers need with cameras and what aspects are important. For planetary imagers those important characteristics are sensitivity, speed and read noise. Q17: Last question, will you join the Greenwich competition next year? Do you have confidence to win? I will enter again but I think I spent all my luck this year!